*** NEW INFO: I have been contacted by many of you about purchasing Tilta gear. I just got back from NAB Show 2013 and we spoke to Tilta about the problems contacting the US distributor. 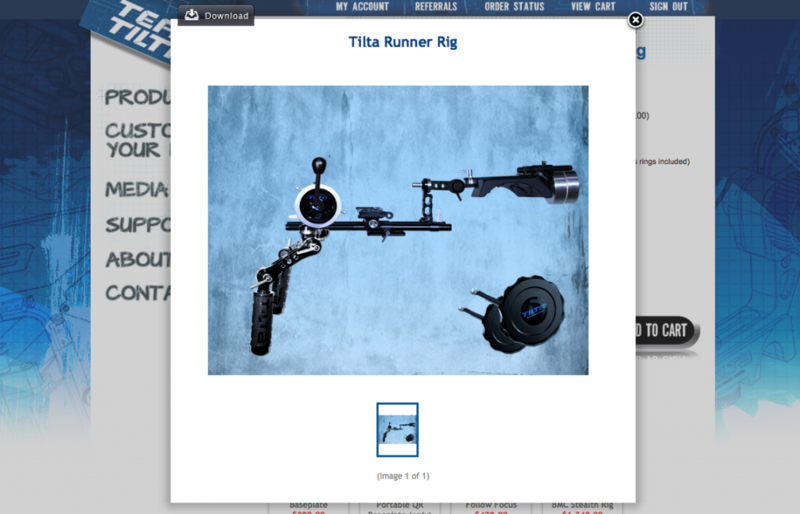 Team Tilta is no longer the US distributor for these rigs. The new US distributor is Ikan. A Chinese company named Team Tilta has designed a new camera rig system that looks like something out of a Terminator film. On par with other top manufacturers in its build quality, its price point kills the competition. And it’s not just a flesh wound, its currently HALF the cost of many rivals! The manufacturer claims their quick release baseplate is made of aircraft grade aluminum. It is solid. It comes with a shoulder pad and a heavy duty VCT-14 compatible quick release shoe that works on standard broadcast ENG tripod plates. Quick locks mount the baseplate to the included 15mm front rails. If you want to remove the camera from the rig, it’s secured with a single knob that tightens a sliding plate. 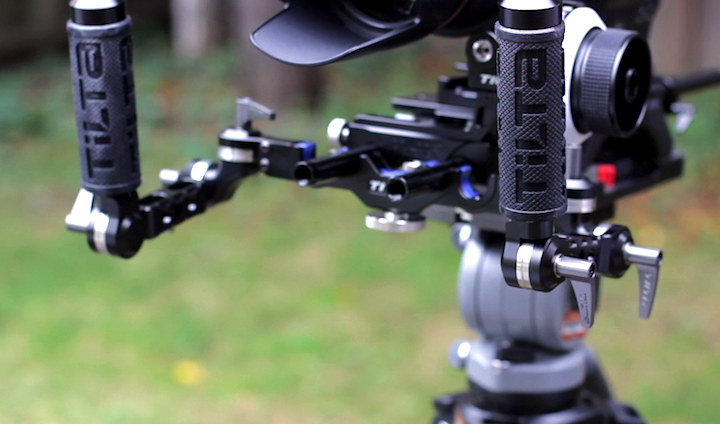 You can add 15mm rails to the back of the rig so you can balance it out with weights when using a heavier camera. You can also easily attach a power solution like a v-mount plate for powering your camera and other support gear. I have found the included camera plate to be adequately secure when mounting my Canon C300 to the baseplate. My friend Erik Naso came up with a better solution for mounting heavier cameras such as an F3 or Alexa. He replaced the smaller camera plate that mounts the camera to the baseplate with a longer beefier Manfrotto 357 QR plate which seems to lock in those bigger cameras more securely. Here is a link to Erik’s review. While I think this is a great rig I do want to mention one issue. 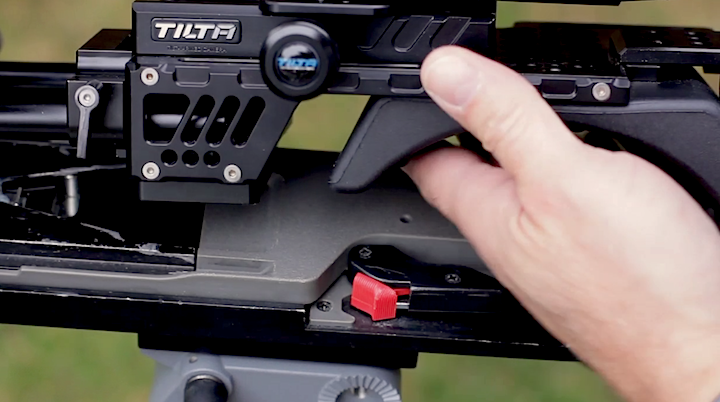 If you use the Tilta baseplate when mounting regular non-height adjustable matteboxes to the rails with cameras like the Sony F3 or FS700 you will find that the lens center might be higher than the mattebox center. Therefore you may have to use a riser block for the rails in order to raise the mattebox to center correctly around the lens. 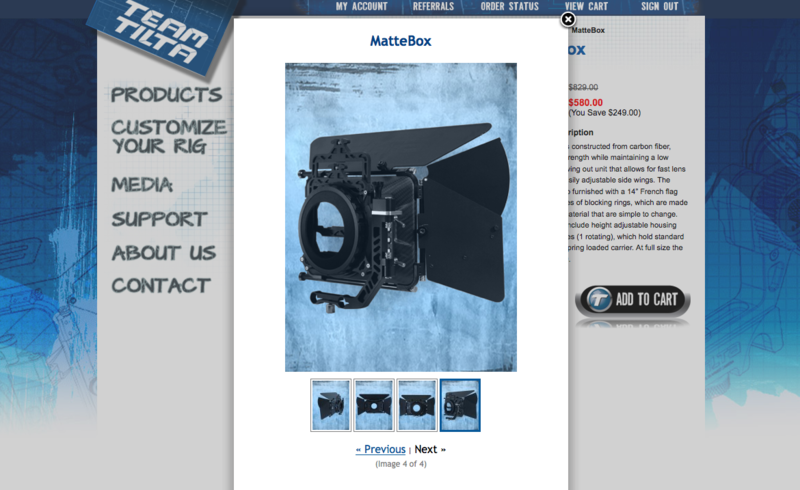 I haven’t tried Tilta’s own mattebox yet so I have no way of knowing if their mattebox has the same problem. I’ve contacted Team Tilta and I’m awaiting a reply from them. 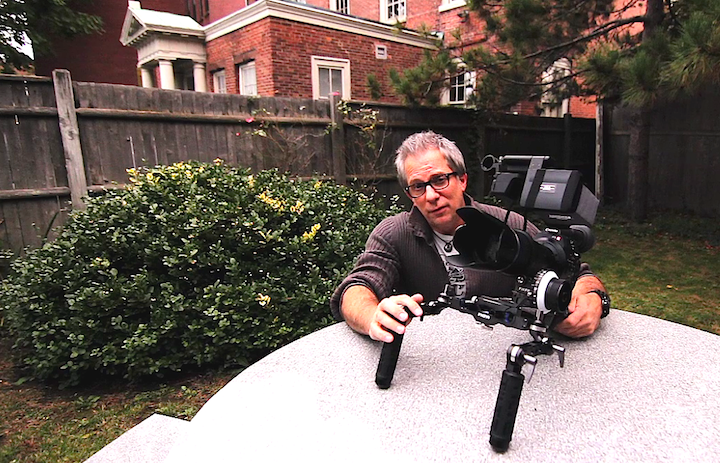 Here’s a link to a good blog post by Alister Chapman that talks about the mattebox issue. 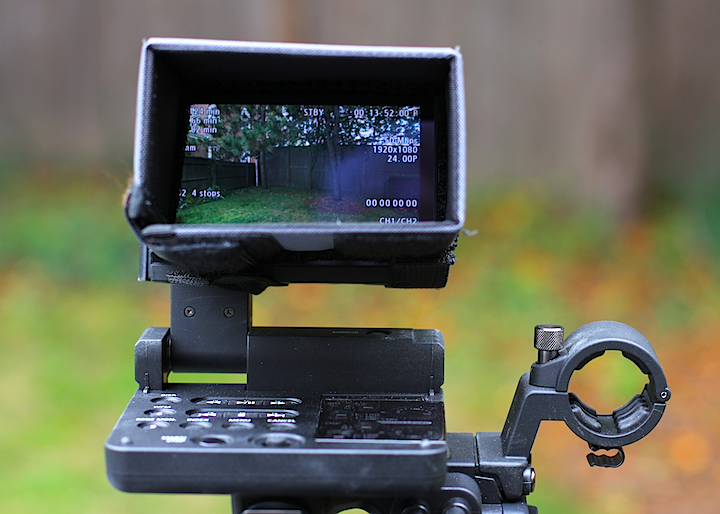 *UPDATE on using the Tilta mattebox with Canon C300. Even though the mattebox has a height adjustment, it’s still slightly low and off center of the lens. So you will have to purchase a 15mm rail riser block and two additional short 15mm rails in order to use it with an FS100, FS700 or C300. I have still not received a reply from Tilta about this issue. 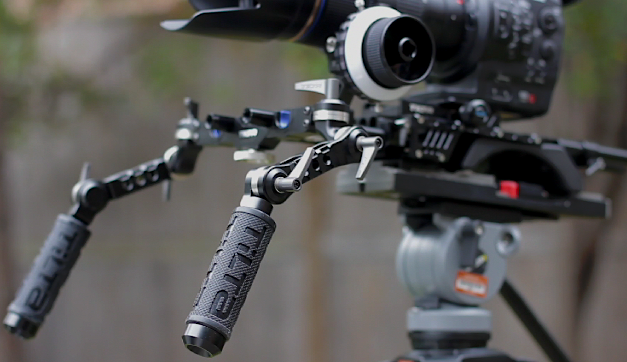 The Universal Handgrip mounting system works with either 15mm or 19mm rods. I love how they easily clamp on to the rails. The grips are covered in solid rubber for non-slip grasping in cold weather. The handgrip arms adjust to any angle using a rosette locking system and ratchet style locking levers, which makes it easy to tighten or loosen the hand grip arms. I mounted my Canon C300 on this rig and used the camera’s on-board LCD monitor with a Hoodman HD450 sun shade – rotating the screen upside down and pressing the mirror button to flip the image. Tilta makes a replacement C300 top handle that I didn’t order as I am happy with the Canon supplied one. When I inquired about Tilta’s top handle I noticed it doesn’t have any holes for accessories. I would recommend that Tilta add some 1/4 20 tap holes to their top handle. 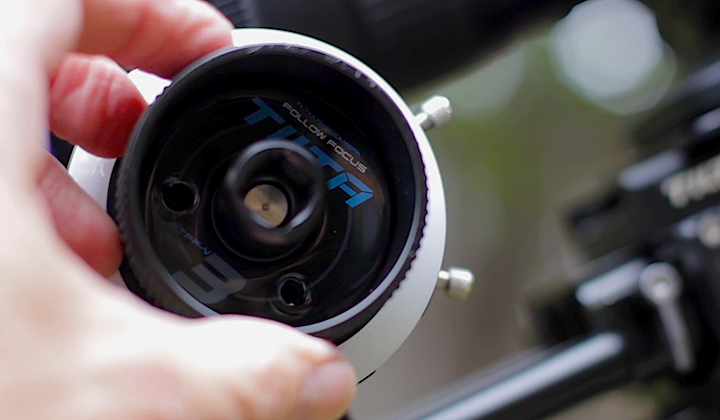 The Tilta follow focus hand wheel turns nice and smooth and has two adjustable hard stops for precision focus pulls – love that feature. The unit clamps onto the rails and tightens for a nice secure mount. 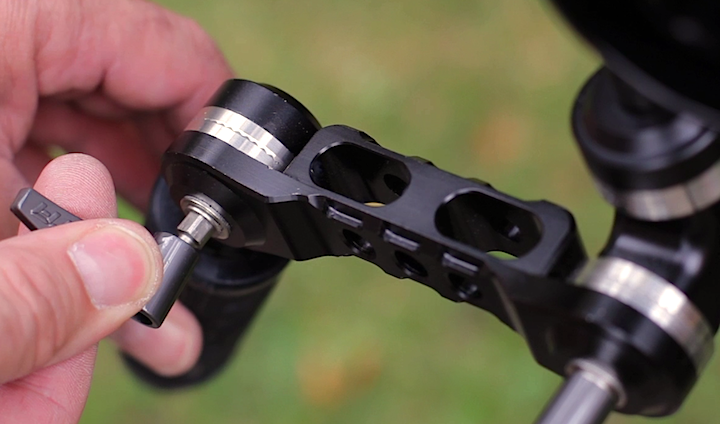 The gear adjusts laterally by sliding toward the lens gear and locking the large thumb wheel knob. It’s constructed from solid aluminum. It looks and feels much more expensive than it actually is. You can also reverse the gear from front to back using a simple thumb screw – great for Nikon lens users. It comes with a variety of gear ring belts. My only wish is that it shipped with a few different size gears. 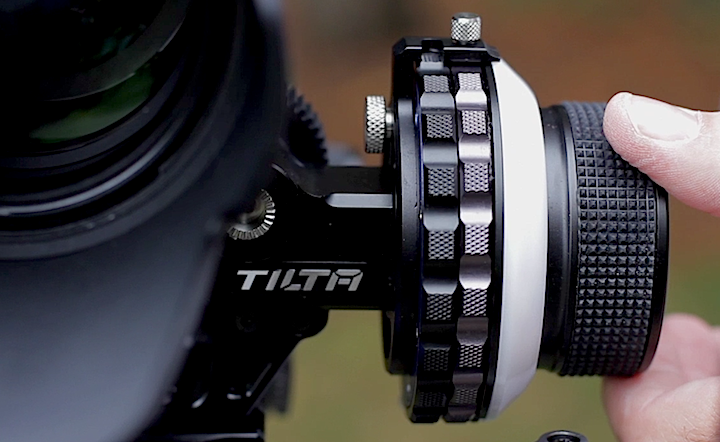 There is a catch though – Tilta gear is currently not available in US camera stores and until recently needed to be purchased online via sites like Ebay. Recently that changed because Team Tilta set up a direct sales referral program allowing a select number of users to purchase gear at discounted rates. If you wish to get these discounts you need to approach Tilta to become a Team Tilta member, or be invited by an existing member. Once you are a member you can invite friends to join and each time a friend purchases a Team Tilta product you receive a $20 credit. Team Tilta members are also able to get a one off 50% discount on a purchase if they make a brief (30 second to 1 minute) video providing feedback on a Tilta product they have purchased. Basically this seems to be a viral marketing campaign where Tilta hopes they can raise the profile of their brand – don’t expect this kind of pricing to last forever. Currently the promotional price for the Tilta QR Baseplate is $280 US, the Universal Handgrips $280 US and the Tilta Follow Focus $420 US. If you are using a DSLR rather than a large sensor video camera then Tilta also offers a rig called The Runner for $849.00. So yes I joined the Team Tilta program. But I did this gear review because I purchased the rig, loved it and wanted to impart my thoughts about it to the online community. I believe it’s a quality product for a currently unbelievable price. If you combine these individual kit components the total cost from the Team Tilta program is under $1000 US. Some well known brand name rigs cost more than that without including a follow focus. 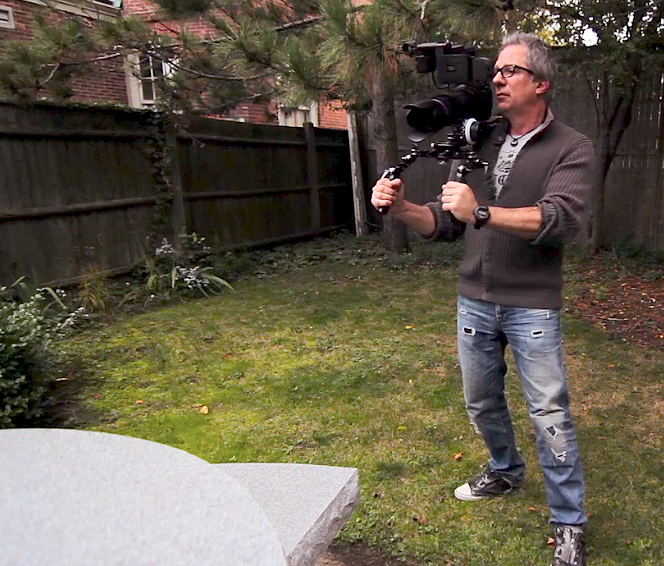 And if you added their price of a follow focus, it would bring the total price tag to almost $2000 US. This kit is currently a great deal if you are on a budget. For more on how to become a Team Tilta member contact me here or on vimeo. You can follow Team Tilta on twitter @teamtilta for more on their latest deals. This review originally appeared on Dan Chung’s DSLR News Shooter website. Please check out his informative site. Thanks to Dan for his support! I really enjoyed your review and I am really excited to get my hands on the whole setup. I just sold my Redrock stuff and sold my Shoot35 follow focus and want to get the Tilta base plate, FF, and grip arm. I would really appreciate it if I could get a referral from you so I can order directly from Tilta and get a better price on these items. Thanks again for the positive review and giving me more confidence in the Tilta product. I’m thinking about buying few Tilta accessories: Universal handgrip offset shoulder pad and lightweight baseplate, but unfortunately I can’t find any review or even photos of this set with bigger camera like sony PMW F3. Do you know if shoulder pad TT-0516 and handgrip UH-T03 will work with heavier camera? I’ve sent few email to Tilta but still no answer. Contact Ikan. They are the USA distributor for Tilta now. Leave a Reply to Rick Macomber Click here to cancel reply. Copyright © 2019 MACOMBER PRODUCTIONS. All Rights Reserved.